 Fulfill the promise of additional Masonic Knowledge through education and training.  Build a positive public image of Freemasonry and the Scottish Rite.  Support and expand our philanthropic activities.  Provide a framework for effective leadership to ensure the stability and long term success of our fraternity.  Provide a financial process to ensure the stability and long term success of our fraternity. 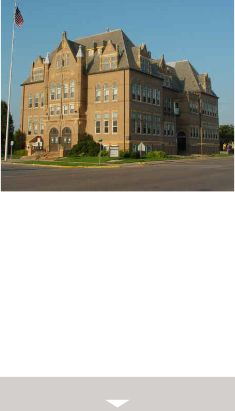 The Scottish Rite of South Dakota consists of 1400 Masons who have joined together as alumni of the “university of Freemasonry”. 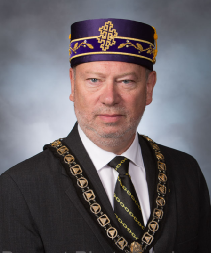 The 29 degrees of the Scottish Rite culminating in the 32nd degree, teaches deep philosophical lessons that encourage us to think beyond our own corner of the world. 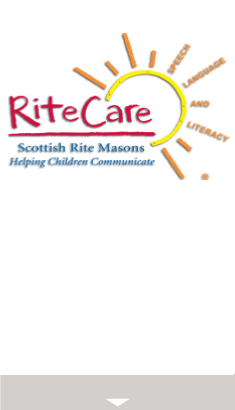 The Scottish Rite of South Dakota is also a multi-million dollar charity that provides real assistance to our Rite Care Clinics in Vermillion, Aberdeen, Sioux Falls, and Rapid City. These clinics are instrumental in bringing needed speech and audiology services to children who need them. Eliminating speech or language problems can be a life changing event for a child. Through the South Dakota Scottish Rite Foundation we provide graduate level fellowships to over a dozen students at the University of South Dakota Department of Communication Sciences and Disorders each year. 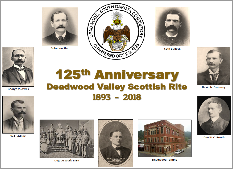 Please join us as we continue to grow our fraternity and its programs by taking the time to look through the Scottish Rite of South Dakota’s website. Hopefully, through the following pages, you will decide to help enrich the lives of South Dakota’s children by becoming a Scottish Rite Mason or simply through your charitable generosity. 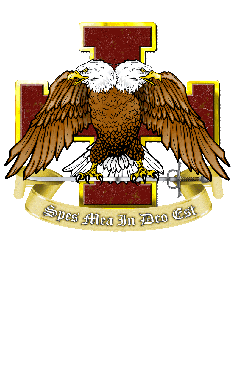 Feel free to contact any Scottish Rite Mason or your nearest Valley if interested in joining our fraternity. Want to join THE ANCIENT & ACCEPTED SCOTTISH RITE OF FREEMASONRY? Here’s what you can do as a new member: Look at these functions and if any of them strike your fancy, let us know and we’ll find a way to put you to work. A very good axiom to keep in mind is that “you will get from any Masonic Body exactly what you put into it. We really do need you! An organism or organization that does not grow and change eventually withers and dies. We do too much good to let that happen, so don’t be bashful, come to our meetings and get acquainted, and ask questions. Be sure to let us know about your interests, etc. Most importantly: ENJOY WHAT YOU ARE DOING IN SCOTTISH RITE AND ALL OTHER FORMS OF MASONRY and GIVE BACK. The more you give the more you receive. 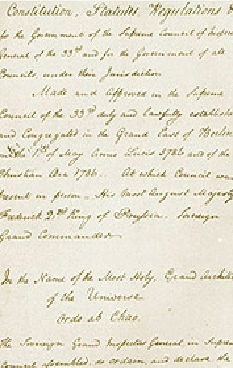 Like so much early Masonic history, the origins of the Scottish Rite are hidden in mist. Today, there are 178 RiteCare® clinics, centers, and special programs operating or planned for children and therapists located throughout the United States. SR Chirp from Scottish Rite on Vimeo.